MEDENT electronic health records (EHR) software is an Electronic Medical Record (EMR), Medical Billing and Practice Management (PM) software solution, provider. The software is developed to work with thirty different medical specialties and is ideal for every sized practice ranging from small to large. Medent is available in both Cloud and On-premises based solutions which means that practitioners can choose between either of these according to their needs. 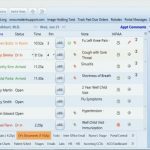 MEDENT EHR software includes the main dashboard which allows clinicians to have easy and quick access to Documents, Messages, Patient Records and Labs. To further save users time, the software also offers a Bookmark feature which bookmarks options frequently used by a practice. This allows easy maneuverability from one task to another without having to go through all the menus. 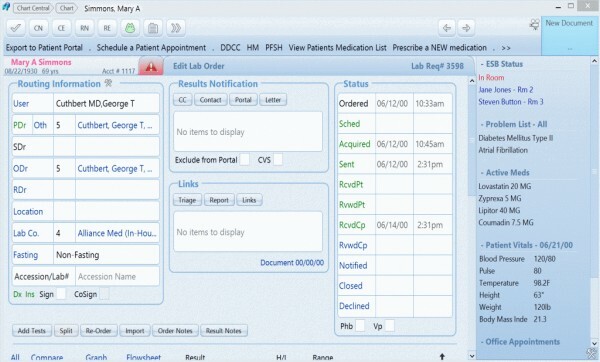 The EHR also incorporates patient charts which displays a timeline showing a patient’s health history. 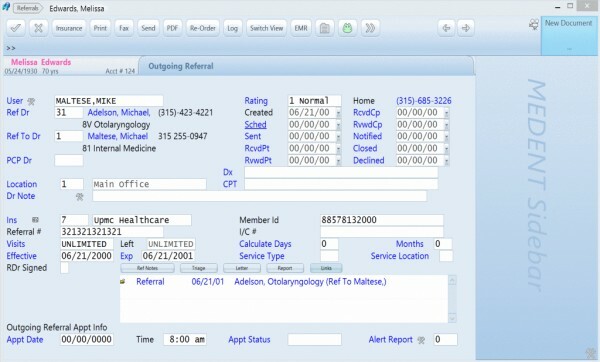 MEDENT electronic medical records (EMR) software allows documentation to be filed through different methods including Voice Notes, Dragon Medical speech recognition with full DRA support, point & click and touch inputs. 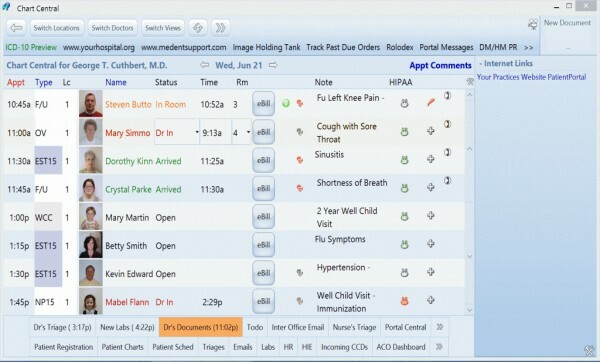 MEDENT EHR software offers a very robust and fully integrated Practice Management (PM) solution. 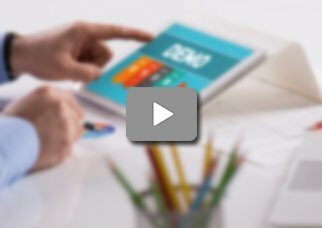 The practice management solutions help practices increase proficiency in their workflow as it provides them with a wide range of reports. It also includes features like a UDS (Urine Drug Screen) report which is necessary for FQHC (Federally Qualified Health Centre). The PM solution also helps clinicians to look-up patients from multiple pieces of identifying information including insurance policy number, phone number or a list of upcoming appointments. 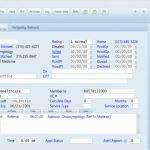 MEDENT Patient Portal service is also available within the MEDENT EHR Software package. It allows patients to have secure communication with their Health Care Providers. Advanced features such as the Patient Hx, e-statements with online payments and eVisits are also included in the Patient Portal interface. 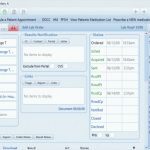 MEDENT EHR software is ONC-ATCB certified and fulfills all requirements for stage-2 Meaningful Use and offers a specialized dashboard to track the usage of Meaningful Use. The software is also HIPAA (Health Insurance Portability and Accountability Act) complaint which is necessary for practices to ensure that Patients Health Information (PHI) is safe from any kind of theft, loss and natural disaster. MEDENT is a very popular EMR software in the industry and was ranked first in the Medical Economics EHR software ranking. Pros: This system is very user friendly and I was able to learn it in a very short time. Pros: Excellent customer support&comma; clean design&comma; highly customizable&comma; full integration with faxing&comma; billing&comma; phone and text.